You visit the bathroom multiple times a day, but chances are you don't give it much thought. Homeowners often take the bathroom for granted, consigning it to a contradictory, difficult-to-define role in modern homes. On the one hand, though the bathroom is vital to everyday health and happiness, its importance isn't necessarily reflected in its square footage—a frustrating limitation that many homeowners confront all too often. As well, while the bathroom exists primarily for hygienic purposes, homeowners often see it as much more than a place to shower and shave. Nowadays, the bathroom can serve as a sort of refuge—a private place to relax away from the stresses of the world. Yet, although the bathroom really matters, homeowners rarely give it the thoughtful consideration they lavish on other rooms. Why? 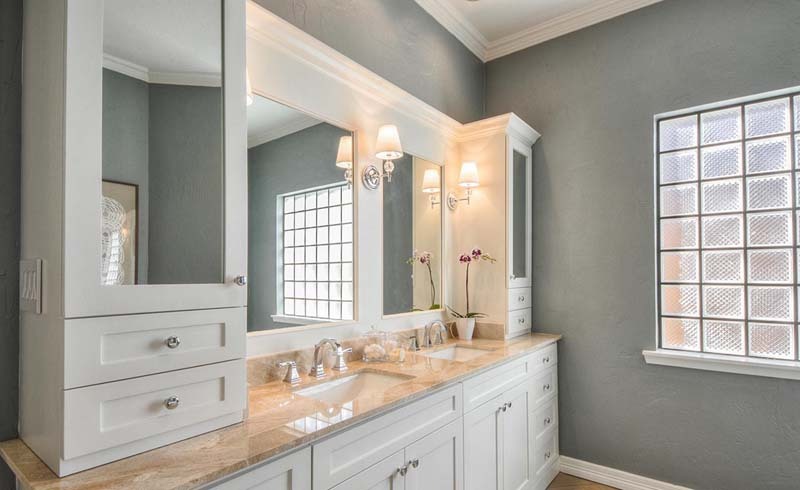 Homeowners hesitate to remodel their bathrooms at least in part because "there are so many misconceptions," according to Joe Maykut, a product manager with Sears Home Services. 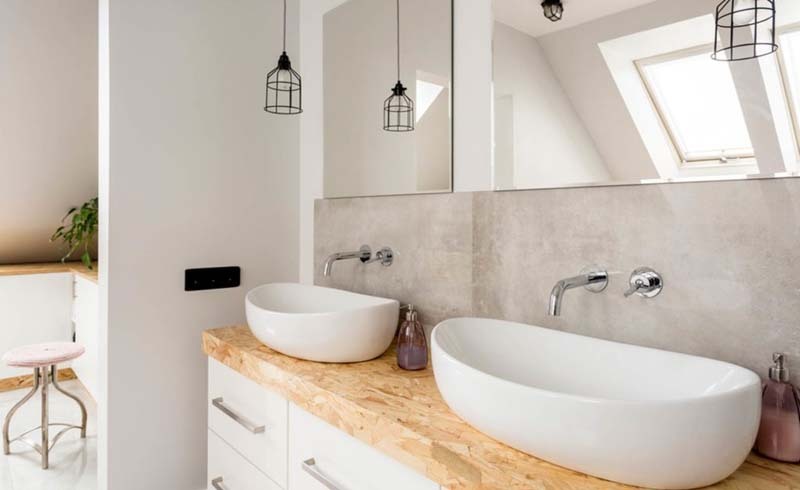 Assuming the worst—high costs and huge hassles—homeowners commonly go for years with a bathroom that fails to meet their needs. Certainly, you can spend a small fortune on a months-long bathroom renovation, but as Maykut notes, "It's well worth exploring all the options available." Working closely with experienced professionals, whether a local outfit or a national service provider like Sears, it's not only possible but actually easier than you ever thought to devise a renovation strategy that fits with your budget and schedule. Click through right now for details on the most compelling reasons to start planning your bathroom project today! This content has been brought to you by Sears Home Services. Its facts and opinions are those of BobVila.com. Is your bathroom lined with once-fashionable, now-ugly tile? Does the builder-grade cabinetry look all the worse for years of wear and tear? If you hate everything about your bathroom, perhaps only a full-scale gut renovation could bring it up to your standards. There are, however, many situations where a few discreet, modest upgrades can achieve high-impact results. In either case, no matter the scope of your eventual project, "be prepared to wade through a virtual sea of options," Maykut says. One advantage of working with a company like Sears Home Services is that, rather than sending you to the showroom, Sears brings the showroom to you, making the process extraordinarily convenient and enabling homeowners to feel fully confident in their selections. People bemoan the fact that, as the saying goes, "They don’t build 'em like they used to." But some features—storage capacity, for instance—have improved with time. To the great joy of many homeowners, the average bathroom has gotten bigger over the years. For those who are making do with older bathrooms plagued by too-small footprints or inconvenient layouts, the tight quarters often provide enough incentive to start knocking down walls. But it's not always necessary to go that far in order to gain storage and get your sanity back. With the right advice—for instance, with step-by-step guidance from the experts at Sears Home Services—"there are countless ways to maximize every inch of the existing space," Maykut says. As time goes by and circumstances change, your priorities as a homeowner change too. For instance, the bathroom you once loved may prove unsatisfactory when children become part of the picture. Or, by the same token, if you’re looking forward to retirement, you may be eager to make the bathroom better suited for your current stage of life. As Maykut puts it, “There’s no such thing as a bathroom that's perfect for everyone. The key question to ask yourself," he continues, "is what would be perfect for you right now, and for the next 20 years?" If you're not sure, call a local pro to discuss it, or go online to schedule a free in-home consultation with Sears Home Services. With frequent, sustained exposure to moisture and humidity, even the best-built bathrooms eventually succumb to such problems as mold and mildew, rot and decay. Of course, addressing runaway water damage often involves a great deal of demolition. But there's a silver lining: Extensive repair work often prompts homeowners to undertake a full-scale renovation, which offers a huge opportunity to start with a clean slate. With help from the renovation pros at Sears Home Services, you can combine practical design principles with the best modern materials to ensure that, going forward, your bathroom will look its best and last as long as possible with a minimum of maintenance and cleaning. In the average home, the toilet and shower account for approximately half of all daily water usage. To keep a lid on household operating costs—and, of course, to conserve a precious natural resource—a wide range of water-saving toilets, shower heads, and faucets have hit the market in recent years. "Take advantage," Maykut advises. So long as you opt for fixtures tested and certified to deliver efficient performance—for example, the WaterSense-labeled products routinely installed by Sears Home Services—you can look forward to a reduced monthly water bill. "The incremental savings may not amount to much, but over time, it really starts to add up," Maykut concludes. Remodeling requires an investment of thought, time, and, crucially, money on the part of the homeowner. Here, "the key word is 'investment,' " Maykut says. Not every upgrade comes with a favorable return, but bathroom remodeling delivers one of the best. Upon resale, homeowners typically recoup more than half the total cost of a bathroom renovation. The only catch is that for a remodel to be an asset, the workmanship must be high quality. For all but the most ambitious and capable do-it-yourselfers, that means hiring pros you trust to handle the job. Many choose to trust Sears, not only for the decades-long history that made the company a household name, but also for its Satisfaction Guarantee—a commitment to the success of your project, now and into the future.